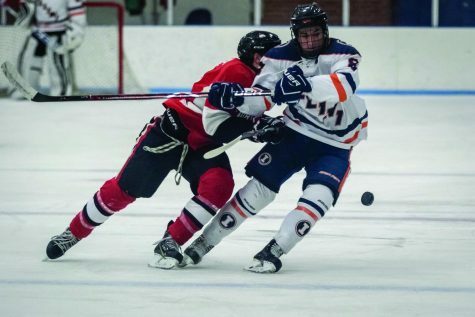 Luke Forfar (21) takes the puck past Indiana Tech's defensemen to get a shot on goal at the Ice Arena on Friday, Oct. 14, 2016. 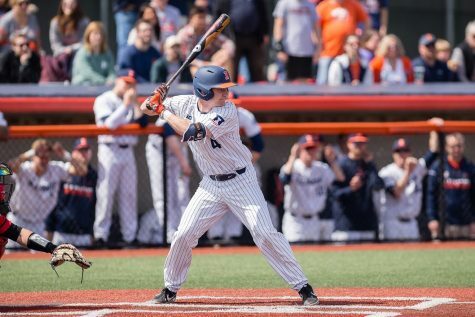 Illini beat Indiana Tech 7-2. 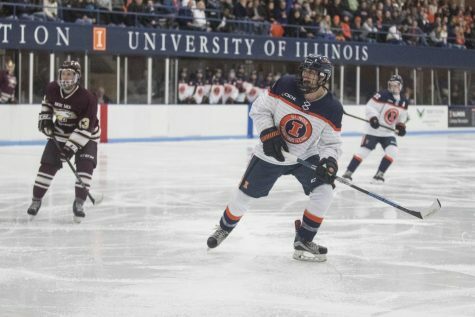 Illinois’ hockey head coach Nick Fabbrini has already called in sick for the Illini’s home games against Indiana University on Jan. 27 and Jan. 28. Fabbrini, the fifth-year head coach, was selected last month as an assistant coach for the United States at the 2017 Winter World University Games. The World University Games run from Jan. 29 – Feb. 8 in Almaty, Kazakhstan. “It’s definitely an honor to be able to represent my country and be a part of the tradition here at the University,” Fabbrini said. 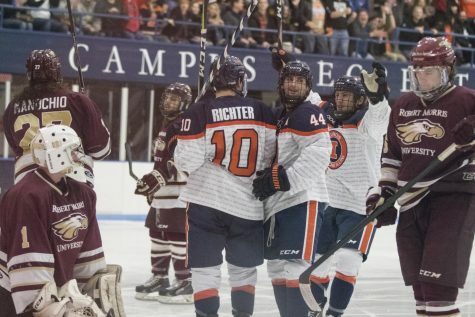 The United States Men’s National University team is composed of players who compete collegiately in the American Collegiate Hockey Association (ACHA), according to USA Hockey. 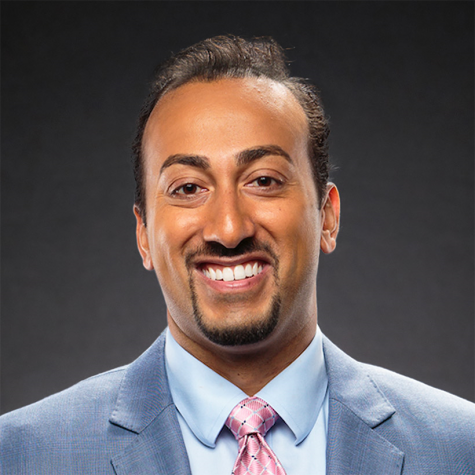 Fabbrini says the Illini are typically very well-represented on the team, dating back to his days as a player in the mid-2000s. 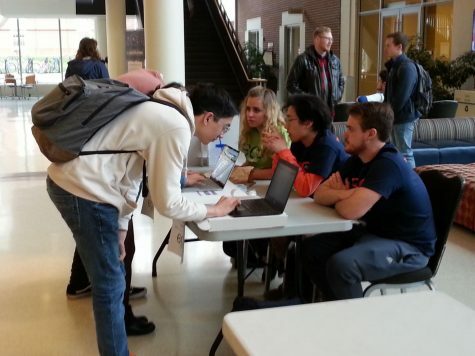 He said several current Illinois players have a shot at making the team. 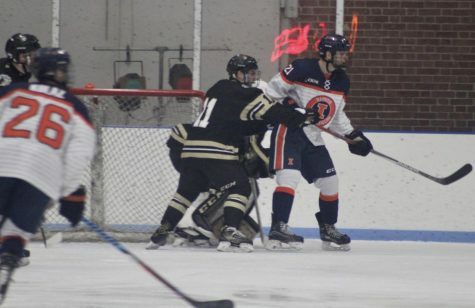 Fabbrini was a late addition to the coaching staff, which also includes Ohio University head coach Sean Hogan and Lindenwood University’s Rick Zombo. 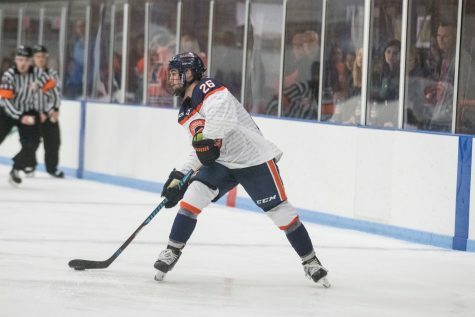 Freshman forward Luke Forfar ended a six-game scoreless streak with five points, including his first-career hat trick, in Illinois’ 11-0 win over Illinois State last Saturday. While Forfar has played alongside junior forwards Eric Cruickshank and Grant Stueve in recent games, Fabbrini praised Forfar for more than just his ability to score. Forfar has 10 points and five goals through 14 games this season. 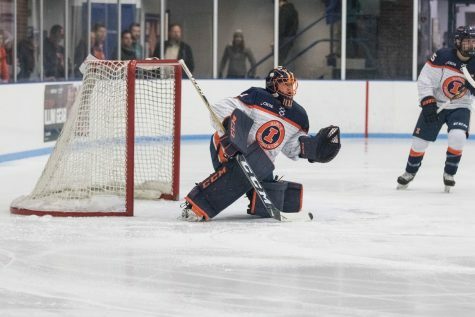 Illinois hockey has a familiar opponent this weekend when it travels to Wentzville, Missouri to face off against defending-ACHA champion Lindenwood. 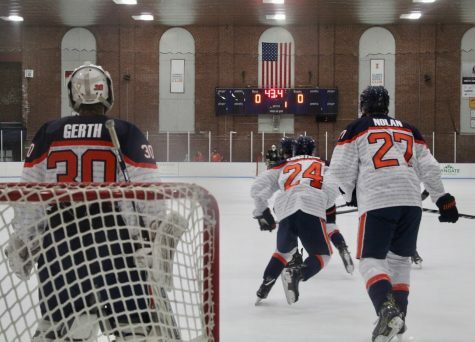 The Lions enter this weekend 7-8-1 overall and 0-2 in CSCHL play. 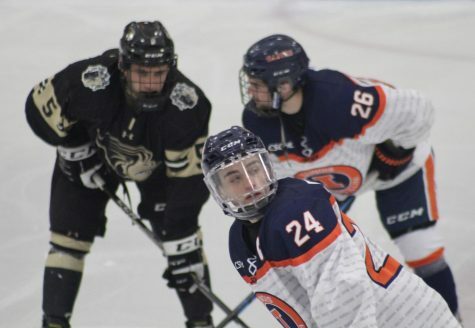 Fabbrini said Lindenwood’s underwhelming record is a result of head coach Rick Zombo creating a challenging schedule for his team. Zombo, a 12-year NHL veteran with the Detroit Red Wings, led Lindenwood to a 27-10 record last season.